Very Good condition cardcover book. Clean, tight and feels unread. For some reason, this excellent book was never published in hardback, so this edition is the only one available and has become very scarce. 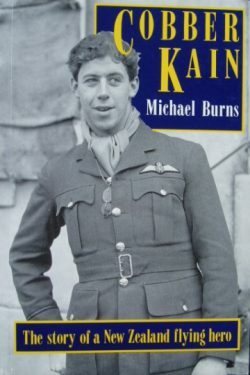 Cobber Kain was the Phoney War’s first air hero and the best known fighter pilot of the Battle of France as he was the first RAF ‘ace’ of the war. 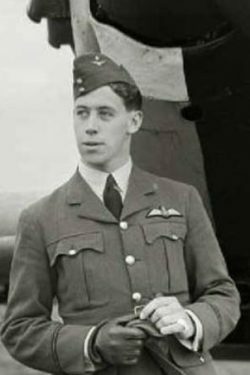 He flew Hurricanes with 73 squadron and survived being shot down twice by Werner Molders, the top scoring Luftwaffe pilot of the time. Feted in London and Paris, he was the subject of many media myths. His exploits, his New Zealand background, youthful charm and engagement to a young actress all fuelled the public’s interest. His untimely death aged 22 when crashing doing a last ‘beat up’ before going on leave, only enhanced his legendary reputation.